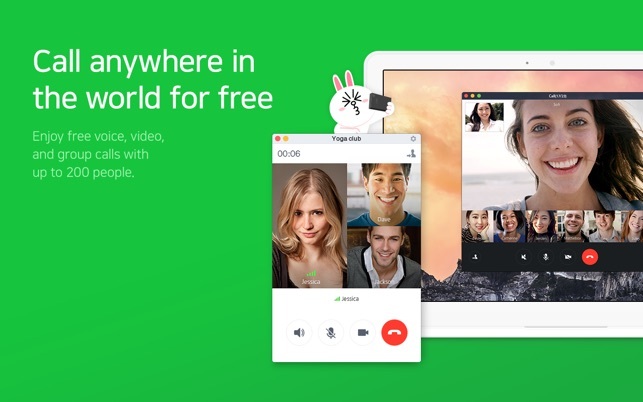 LINE reshapes communication around the globe, letting you enjoy not only messaging but also free voice and video calls wherever you find yourself. 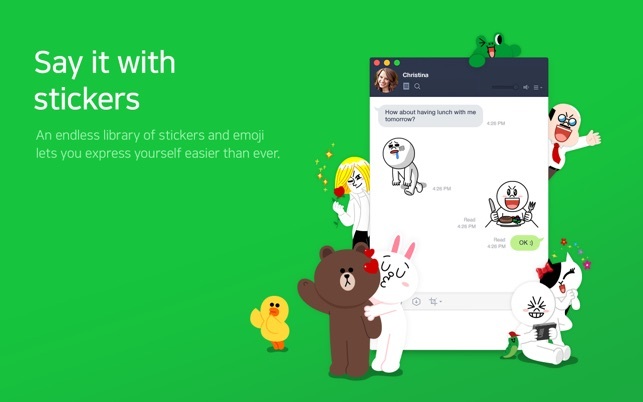 Download LINE now and stay close with your favorite people. Enjoy great quality calls at no charge, no matter where you are. You can even make free international calls with up to 200 people at the same time. 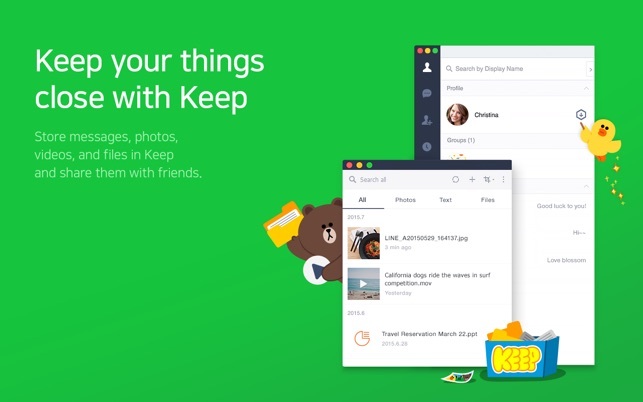 Share messages, photos, videos, and stickers easily with friends. You can even send files up to 1 GB quickly and easily. 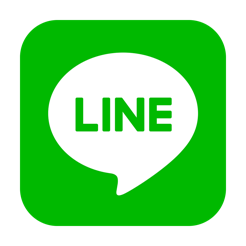 Your LINE chats are always up-to-date! Whether on the go with the mobile version or connected to the desktop version at work or home, your LINE is synced automatically across all versions. 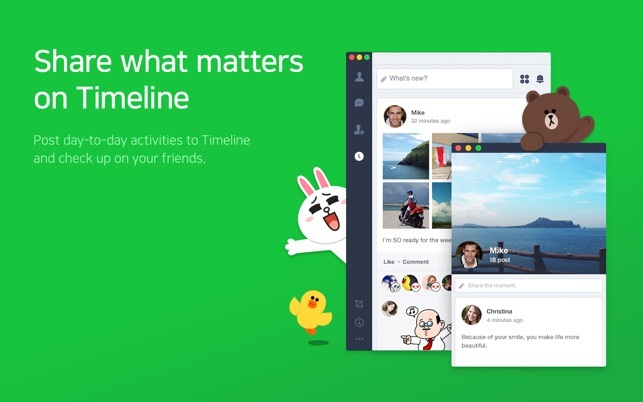 Stay in touch with your friends by sharing photos, stickers, and videos through various types of posts on Timeline. All your chat messages, calls, and shared locations can be encrypted using Letter Sealing. Your chats are always safe in LINE! - You can now use paid sticker sets immediately after purchase. 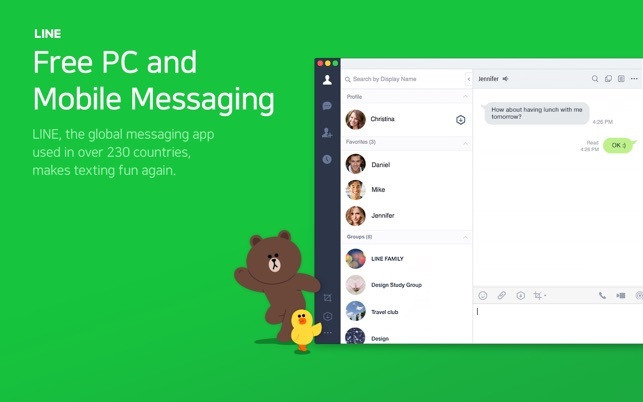 - You can now forward a message to up to 10 chats at once. Current version has broken sound on OS X and no way to contact support. When it works, I give this app 5 stars, because it includes voice, video, text, stickers, lots of fun and easy to use. However, now, In Max OS X High Sierra, my LINE app is saying "No microphone or speakers detected." This happens whenever I try to make or receive a phone call to my friend. I have tried uninstalling and reinstalling the app and have checked the sound settings. This used to work reliably and now never works. There is no way to contact user support, although you can "report problems." It's just a black hole. So LINE is just broken and unreliable. This is not the first time I've had this kind of problem. So 3 stars. Needs Auto Correction and Capitilization BIG TIME. Allow for the THEMES used in the mobile app to be used in the desktop version. Allow for the window to be resized any which way, including narrowing the contacts column to just show the icon of the contact. The contacts column just takes up too much space. Signing in with password/Sign in automatically needs to remember better. If this app adds these things and just continues to receive updates I’m pretty certain it’ll be one of the best.